Whether what scares you is under the bed, rattling in the closet, or lingering in the past, Stories at the Storey invites you to share your 3-5 minute true story about fear. The next true story open mic night is Thursday, October 29, 7-8 PM at the Storey. 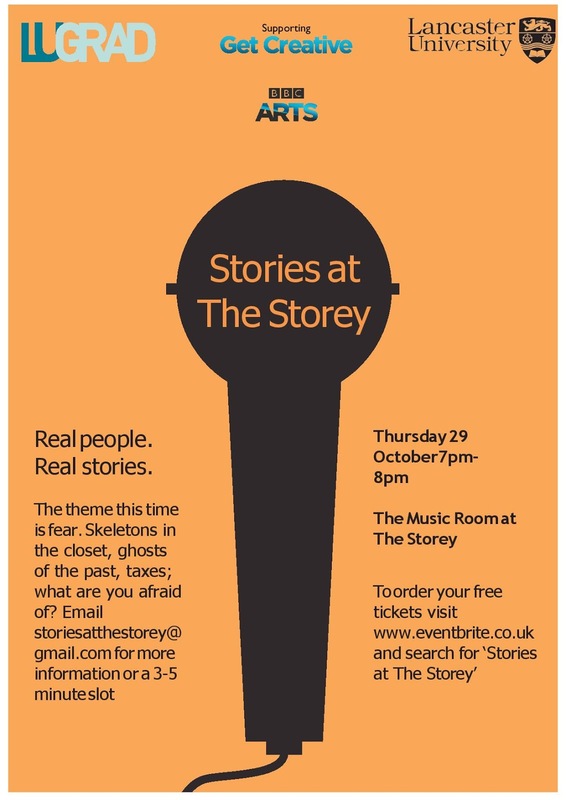 Email us at storiesathtestorey@gmail.com to reserve your slot.